Asus is putting out another installment in their super high end line of Zenbook Ultrabooks. The newest machine in the line is called the NX500, and it is packed full of awesome featured that you would expect from a high end laptop. It has dedicated graphics, advanced storage configurations and a really nice 4K display as you would expect. 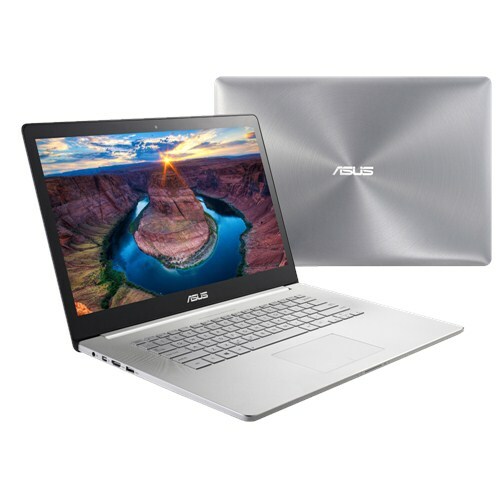 One of the big things that stands out about the new Zenbook NX500 is that you can tell Asus had Apple’s Macbook in mind when they were designing this. It has an aluminum construction and high end, powerful internal workings. The NX500 has a 15.6 inch 3840 x 2160 IPS panel that offers 282 pixels per inch. Not only is that just really impressive to read, but to give you a real life example, the Macbook that it is designed after only has 220 pixels per inch. The Zenbook’s resolution promises life-like color reproduction and a wide color gamut. It also has factory calibrated color temperature for impressive performance without any more tweaking to be done. Asus has said that the Zenbook NX500 will be running on Intel Core processors. They said it will run up to the i7, which probably means there will be a few less expensive models running the i3 and i5. We’re not sure about the RAM yet, but there will probably be a few different option like with the processor. The laptop will also have an Nvidia GeForce GTX 850M GPU with 2 GB of GDDR5 memory and you will be able to choose between SATA 3 RAID 0 or PCIe SSD storage options. It will also have a pretty impressive sound system for a laptop. The NX500 will have titanium film speakers with SonicMaster, ICEpower and Bang & Olufsen technology. Other features include having Broadcom 3-stream 802.11ac Wi-Fi tech. There is no official word on when this new Ultrabook will be available or how much it will cost. But judging by the fact that its basically a super Macbook that can actually do real computer things and make all the PC users out there happy, it will probably cost a small fortune. Next Post: Phone Just Died? It’s Ok, Just Text From Your Laptop!